The statistic displays the number of mobile telephone connections in Curaçao from 2007 to 2017. 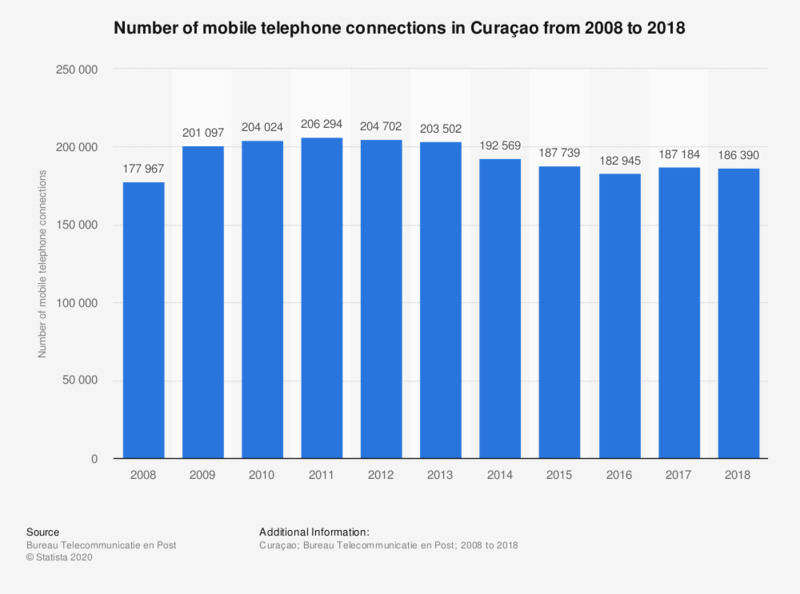 The number of mobile telephone connections in Curaçao increased annually in the beginning of the time-frame considered, peaking in 2011 at roughly 206,300 connections. The number of mobile connections in Curaçao decreased over the following years and as of 2017, there were just over 187,000 mobile connections in Curaçao. Statistics on "Mobile device usage in Belgium"
How did you purchase your current phone offline? Which electronic devices do you have at home? Which electronic devices do you personally own? How frequently do you use a tablet? Which of the following have you done when shopping online using your mobile/smartphone? Which, if any, is your preferred device for watching live TV? Which, if any, is your preferred device for streaming films or series? Which, if any, is your preferred device for watching short videos? In the last month, have you used your phone to do any of the following activities? Which of the following devices do you use at least once every month to listen to radio broadcasting?